Many years ago, one of our clients, Daniel James Johnson, created the concept of Danger Dolan. From then Planet Dolan was formed which turned into an assortment of YouTube channels that focus on either “Top X” list styled videos (Planet Dolan), “Question and Answer” videos and music videos (Super Planet Dolan), or assorted gaming videos (Planet Dolan Gaming). Planet Dolan originally started out under the name “The DD Guides” in 2012 on the channel now called Planet Dolan Gaming. The “DD” in the name originally stood for “Double Dragon,” but was later changed to “Danger Dolan” in order to avoid possible copyright problems. From late 2012 until early 2014 the channel focused almost exclusively on gaming videos, in particular, videos on the famous World of Warcraft online game. In March of 2014, a second channel was formed, originally called “DD Top 20,” later “Danger Dolan,” and finally “Planet Dolan” in 2016. The focus of the second channel is creating “Top X” countdown videos. Months after creating the second channel, their popularity skyrocketed above that of the gaming channel, reaching millions of subscribers before the end of 2014. As of September 2016, the main Planet Dolan channel has reached over 5 million subscribers. Further In September of 2015, the channel “Super Planet Dolan” was created, focusing on “Question and Answer” videos and music videos, but unlike the countdown videos on the main channel, the Q&A and music videos are animated by various animators. Planet Dolan then released a video called ‘Dolan Kart’ back in August 2017 which garnered over 800,000+ views. This concept after many comments and requests for it to become an actual game was quickly made into a mobile game and something they knew their fans would enjoy. Working closely with the team at Planet Dolan and their contractors, including one of Planet Dolan’s previous artist’s development on the game, started in November 2017. 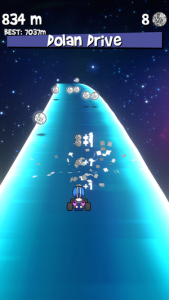 The game was released on both iOS and Android in April 2018. Leaving all the legal aside, Planet Dolan has ensured that its intellectual property is protected every step of the way. Starting with its trade marks which include Danger Dolan, Dolan Kart, Planet Dolan and the character design itself. 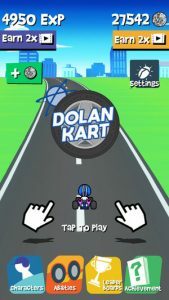 Dolan Kart also has extensive terms and conditions for the game and owns all the intellectual property that it uses. The most important thing to emphasise is that there is no such thing as standardised terms and conditions when it comes to games. They must be tailored and customised to the game and the individuals who create and own the game. For example, the company that owns the game will generally set its own rules about who can access the game and how the game may be accessed (e.g. through social media). Further, the game may be used for commercial or non-commercial purposes depending on the volition of the owner. Some games allow you to purchase characters or other in-game items on a free basis or using currency through means such as a credit card. Terms will also typically cover intellectual property rights of the owner and remind users that they don’t own any of the IP (nor can they licence any of the IP even if the game itself is free). Some games allow users to upload their own content in relation to the game. Others will not. Game owners also need to set strict rules around the terms upon which people play the game, including, rules against fraudulent conduct, bullying, harassment, defamation and a lot more. 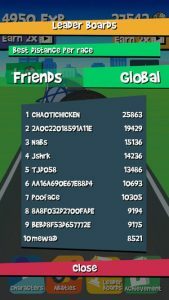 However, privacy is also relevant as users may submit personal information in order to subscribe to the game or play it. As with any agreement, users generally must agree to the terms before they can access the game. Care should be taken when beginning a project on a game. You should always consider who holds the copyright, especially in relation to employment. Typically copyright resides with the employee but this may not always be the case. For this reason, it is always recommended that copyright assignment is included in the contract or sought by the author of the work. Furthermore, care should also be taken to ensure that all elements are registered as trade marks. Online game creators would want to also ensure from the very outset that people who work for them to sign a confidentiality agreement (also known as non-disclosure agreements). This effectively creates a legally binding obligation on the parties who are involved in the making of the game to keep it confidential at all times. Once the information is made public it loses its confidentiality and people would often be free to use and disclose that information at will. Naturally, however, some information will always remain confidential, especially if it relates to the running of the business, business plans, financial figures relating to the creation of the game and upcoming updates which have not yet been made public. It is important that these type of agreements be drafted by lawyers who can identify the difference between what is confidential or not in a reasonable matter. This will award you the best possible protection from potential risks.